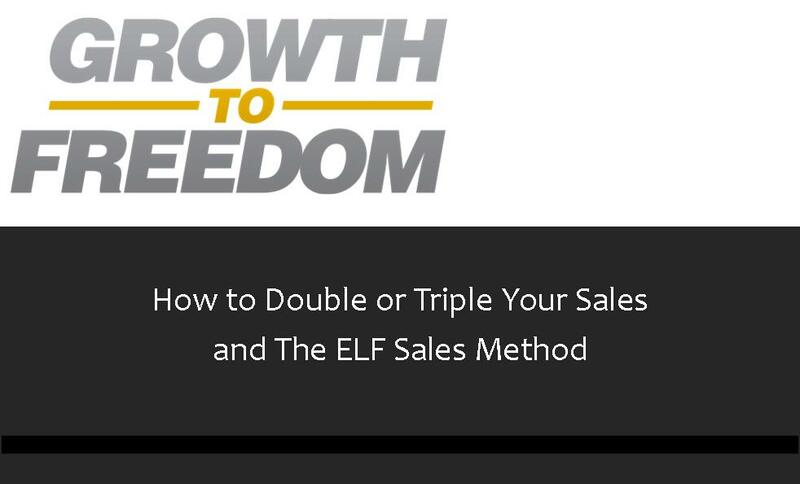 What would happen if you could double the amount of sales you made – with the same number of leads? What would that mean to you, your family, and your company? More importantly, what would that mean for your customers? I used to think that sales was difficult. At times I thought to be successful at sales, I’d have to be pushy or overbearing. However, once I began studying the true nature of sales and understanding that it’s about helping people and adding value to their lives, sales has become something I love to do. You can improve your ability to influence, persuade and sell – and today I’m going to show you how. Truth be told, I didn’t invent any of this. This episode features insights from the study and trial and error over the last 22 years. In this episode I reveal a relatively simple multi-step process you can put in place to consistently generate more sales. You’ve got to understand the sales process before you can be good at it. The introduction, The Why, The Walk Through, The Price, The Guarantee, Testimonials, and The Ask. Each step leads the candidate from interest to commitment. It all starts with great preparation. That means you’ve got to do your homework before you go to the sales appointment. What are the prospect’s needs and desires? What are the risks they’d be taking by using your solution? How can you answer each of those risks effectively and meet their needs and desires? Doing your homework up front and anticipating their needs will give you a competitive advantage. It gives you the tools to ask the right questions to help get them to like, trust, and respect you – to shift from a sales pest to welcome guest; to position you as a trusted, knowledgeable advisor.